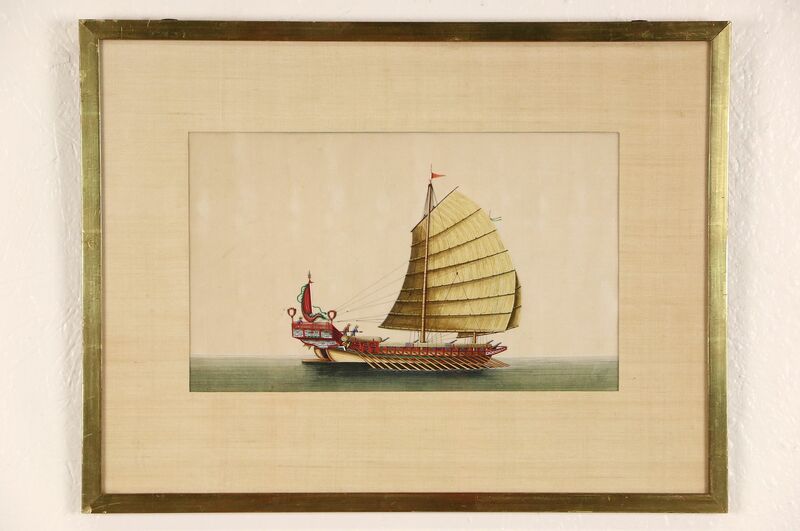 A beautiful original painting of a Chinese galley sailing ship with an imperial passenger gallery has incredibly fine detail, apparently painted on rice paper around 1900. We have not disassembled the original frame for inspection. There is a woven silk mat, and the genuine gold leaf frame has some charming wear and losses down to the red ocher underneath. Overall size is 19" wide, 14 1/2" tall and 1/2" deep.